The ideal -- and the traditional Tennessee way -- is to schedule one good OOC opponent -- preferably an intersectional opponent. Unless you're content with increasingly half-full stadiums. Of course, some of you are ecstatic over beating Tennessee Tech, ETSU and Carson-Newman. With new HC hires recently, I'm curious to see how each team is going to look by then. or he’ll take the Bama approach and not schedule anyone outside of smaller schools unless it’s a neutral site, given that Pruitt is here now and that’s how it was for him at Bama. If you guys can get Fulmer/Pruitt to man up with such a schedule, you will, at the least, sell a lot of tickets. Growing up in the 80s and 90s, I do not recall Tennessee playing any FCS (1-AA) programs during that time. Wish we could go back to not scheduling lower division opponents. Personally, I'd love to see an annual rivalry with UCLA or Memphis. Memphis would make sense as it is an in state school. UCLA because we have had some great games with them over the years. Plus, it would be interesting for college football to have another annual East- West rivalry. Only other ones I can think of are USC- Notre Dame, Stanford- Notre Dame, Air Force- Army, Air Force- Navy. 1. UCLA or Memphis (annual rivalry) home and home series. 2. A team from any other major conference, AAC, or Independent. And make that one a home and home series as well. Maybe even a home and home series with a MWC team. 3 and 4. Home game with Sun Belt, C-USA, or MAC teams. Enough with the neutral site games every year. Maybe 1 every 3 to 4 years. Would also love to see us do a home and home with any of the military academy schools. 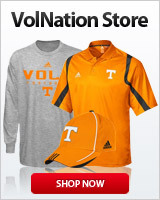 I think if a military academy school would be willing to travel to Knoxville then out of respect we should go there. Plus, I think many fans would enjoy the opportunity to go to Annapolis, West Point, or Colorado Springs. Les Miles is the head coach at Kansas now and will turn them around very quickly. I say bring them on. They will not be a cupcake in a year or two. Tennessee is certainly on the road to recovery; however I don’t think they should even consider adding more tough ooc games until they at least have a few coins in this recovery. Even then being in the SEC it isn’t needed.